Warren Buffett turned 88 on August 30, 2018 and there are no signs that he plans to slow down yet. Given his net worth of $82.6 billion, he could buy a whole lot of umbrella-garnished piña coladas on the beach. He could even afford the beach itself, or possibly an archipelago of tropical islands. So you have to wonder why Buffett is still waist deep in the investment game. As any investment maven will tell you, there’s no definitive answer to that question. Stocks worth holding for the long, long, long run can span diverse sectors. Some stalwarts have gained fame for their re-investible dividends while other newcomers have risen out of the high-tech froth to stake an apparent position of power in a digital age. Then there are also digital cryptocurrencies which offered investors millions when they soared in 2017 but also come with a high level of risk. Overall, there are a wide range of investable options for investors seeking top returns over the long term. Scanning the Oracle of Omaha’s portfolio, or simply looking at the stocks that have made investors wealthy for generations, can be a good place to start. As you round out your long-term portfolio you will begin to get a good grasp of the wisdom of a buy-and-hold investment philosophy. Here we present eight stocks that you can potentially own for generations and count on for long-term gains. In 2019, the market cap for Apple is among the top five in the U.S. market and it is climbing toward $1 trillion. As of September 30, 2018, Apple is the largest holding in the Berkshire Hathaway portfolio. At 25.8% it reports a value of $56.99 billion. The company holds a large percentage of the smartphone market share at 15% and also leads in the tablet industry with market share growing above 10%. With smartphone markets opening up in India, China and other large countries across the world, its mid-term future looks very bright. This New Jersey-based health care and pharmaceutical giant is known in financial parlance as a “dividend aristocrat.” For almost 60 years now—ever since John F. Kennedy was in the White House—the company has increased dividends every single year, with the company well along that path for 2019 as well. In 2018 it paid out total dividends of $3.54. Before you call that small change, think big. Over a long period, reinvested dividends can accumulate a large number of shares—which can be worth a substantial amount if those shares appreciate. And appreciate they have. Over the last ten years through 2019, the stock has been reporting annualized total returns of over 10%, climbing to a share price of $132. While J&J can claim the Band-Aid as part of its high-profile consumer product portfolio, some dividend kingpins have all the public charisma of a toothpick. This Chicago-based business concentrates on fluid management, industrial products, and manufacturing support systems. That’s not exactly the stuff of riveting dinner party banter. However as dividends go, Dover matches up with J&J and continues to remain on the dividend aristocrat list itself. In 2018 the company reported annual dividends per share of $1.90. The company trades at $86. It has a relatively low price to earnings ratio of 17.5. Meanwhile it is highly committed to its dividend with a payout ratio of 39%. Microsoft has been growing steadily as a large, global conglomerate. 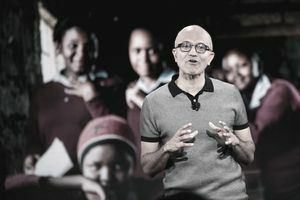 Under the new direction of Satya Nadella its stock has soared to new heights, trading above $115 in 2018. Over the last ten years it has annualized total returns of over 20%. The dividend has also been providing investors with a steady 2% yield. In 2019, Microsoft owns LinkedIn, Skype and the popular Xbox video game platform. It is also revolutionizing the digital experience with Microsoft Office and Azure. McDonald’s has regained its “mojo” under the new leadership of Steve Easterbrook who took over the CEO job in 2015. With a revived menu, new digital ordering, all day breakfast, and a hearty selection of $1 choices, this business has been topping the charts. Over the past three years, MCD has posted an annualized total return of 16%. It has also managed to remain on the popular dividend aristocrat list. In 2018 it paid $3.18 per share with a trailing twelve month dividend yield of 2.31%. As of February 2019, the stock price is trading at approximately $180. The company that started as a humble online bookseller is now writing the book for high-tech relevancy and creativity. Investment observers are hailing the $13.7 billion purchase of Whole Foods , which could really pay off if Amazon can reform the struggling chain’s image of an overpriced outlet many refer to pejoratively as “Whole Paycheck” as well as its inefficient warehouse system. Meanwhile, Amazon is charging ahead with new developments on a number of key fronts including new delivery initiatives, improvements to Alexa’s capabilities, and enhancements to Amazon Web Services. Overall, Amazon’s e-commerce leadership has translated to some stunning shareholder value that is expected to continue. Its stock price has gained 376% over the past five years through February 1, 2019. It is now trading at around $1,725 with a market cap of $842 billion. You probably saw this one coming —and why not? Aside from the fact that Alphabet pretty much controls the entire search engine universe, online video (via YouTube), and the Android phone system, it’s also sitting on a ton of cash. It routinely trades places with Apple for the laurel of market cap king. At present, the company is also approaching the $1 trillion mark with a market cap of approximately $770 billion. Its Class A share price trades at $1,120 and its Class C share price is close behind at $1,110. Alphabet has also reported substantial returns over the last five years with Class A and Class C shares gaining about 90%. As the digital race continues, Alphabet is expected to be a first mover in several key areas that investors are watching, one being the driverless car with its investment in Waymo. And as long as we’re talking stocks that Buffett will own forever, we might as well concentrate on Buffett’s company itself. At $310,750, the Class A stock (BRK.A) is so stratospheric in price that most Americans would have to work three to five years to buy a share, assuming they not spend a single dime otherwise. Thank the gods of Wall Street, then for Berkshire Hathaway Class B, which trades at a much, much, much more modest $207 per share. Betting on Berkshire is Betting on Buffett—a fairly comforting thought—and a stable of companies such as GEICO, Dairy Queen, Benjamin Moore … and all the way down to the Acme Brick Company. Assuming you bought into BRK.B five years ago, you would’ve nearly doubled your money with an 84% return, which is even better than a year’s free supply of Blizzards and Dilly Bars, or a decade’s worth of bricks. What Does Overweight Mean When It Comes to Stocks?